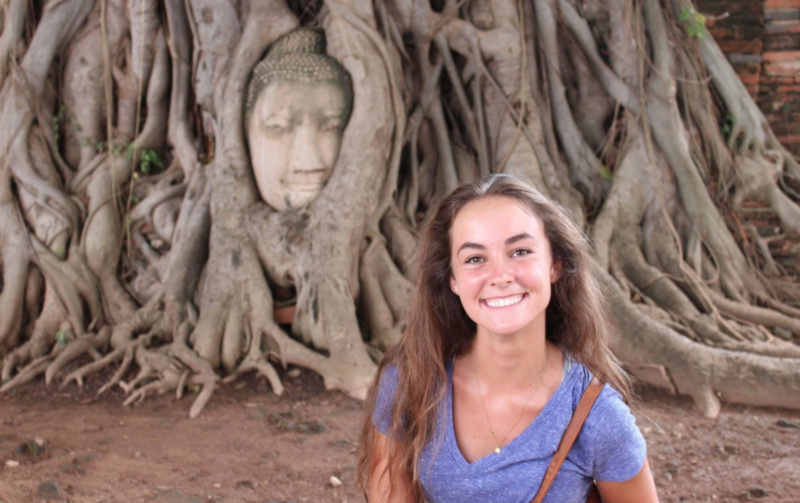 We know Thailand is on your bucket list, but what in the world are you supposed to see? 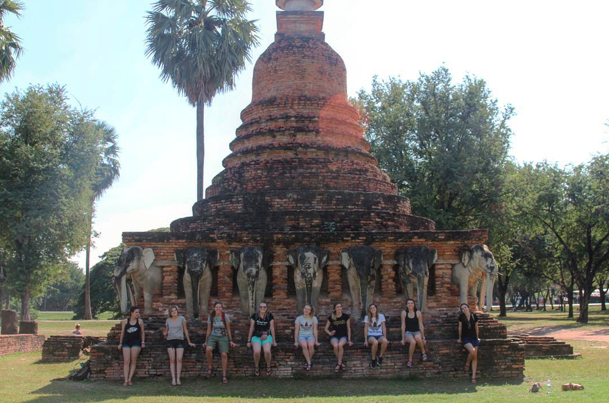 You’d hate to travel all the way there and realize that you missed one of the 10 must see places … We’ve talked to our ILP volunteers who are living in Thailand about the things you’ve got to see while you're here. 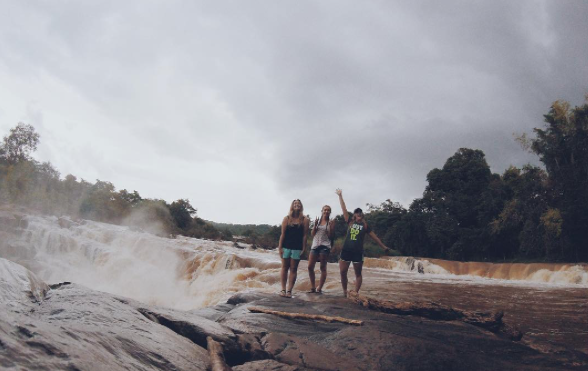 A trip to Thailand is pretty much a total dream. 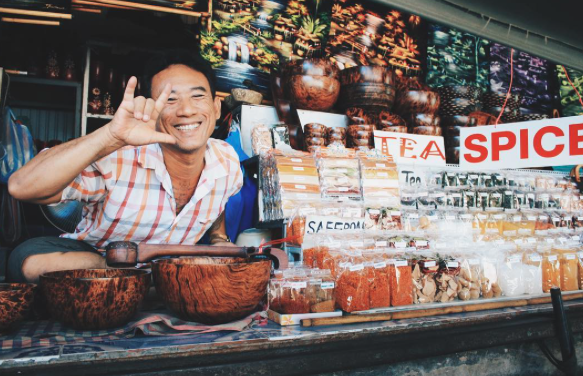 How could you not love the happy people, tropical beaches, unreal smoothies and pad Thai, oh and these 10 sites. I do have some bad news though … even if you go visit for a couple of weeks, you’ll be busy trying to fit it all in. 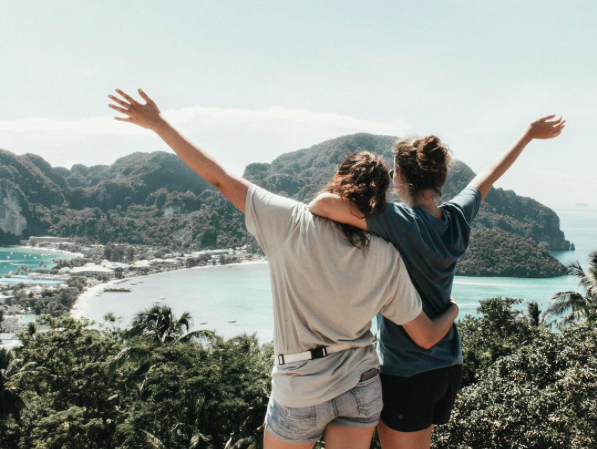 Pst — you can actually live in Thailand and get the chance to see way more than you would on a short visit! 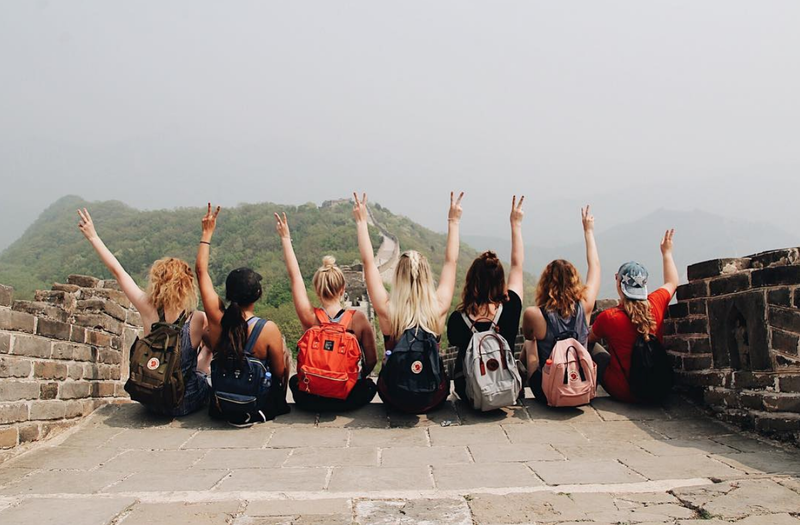 International Language Programs (ILP for short) is a non-profit program that sends volunteers to Thailand to teach English for a whole semester, complete with vacation time to see these 10 places — get all the details about what volunteering in Thailand is like right here. Now, you could do a whole list of articles about the best islands and the best beaches in Thailand … but for this list, we’ve just grouped them all together. When in Thailand, you need to go down to the southern end of the country and visit the islands. Now, which ones you visit are up to you. Are you looking for this amazing look out, found in the Phi - Phi islands? Or maybe you want a more chill vibe, complete with calm beaches and a jungle feel — better head to the island of Koh Chang. The southern part of this country is bursting full of the most unreal islands, which all have a some amazing beaches. It’s really impossible to pick favorites (*we’re big fans of Ao Nang beach! *) so you might want to plan a few days to check out several islands to see which one really is the best. We have a guide to the Thai Islands that will help you plan your trip to this #1 destination. Can you keep a secret? 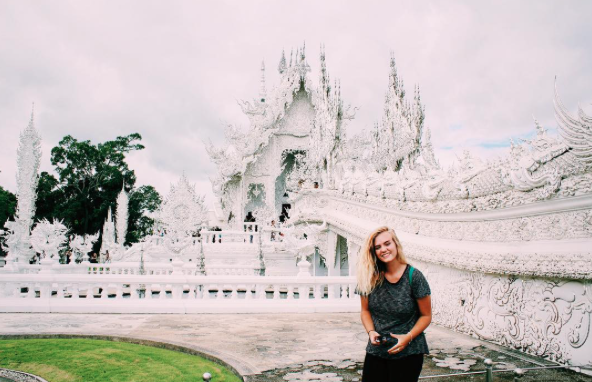 Lots of people have heard of the other places we’ve talked about on this list but this really is a hidden gem that our ILP volunteers just love— Thailand’s most colorful temple! 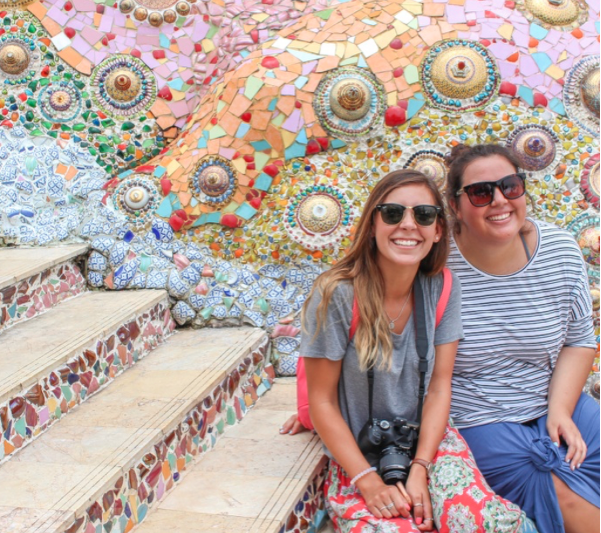 Plan on spending lots of time with your jaw dropping open because you’ll fall in love with the colorful mosaics, bright murals and just overall “wow” factor of this temple. It’s seriously something you cannot miss (especially because most of the tourists don't even know it's here). Mmkay, so part of the Thai experience is hiking through the jungle, spotting monkeys and seeing some spectacular waterfalls. Volunteers have suggested checking out the national parks on the southern islands, like the one in Koh Lanta. Or, you can check out this really unique (and sticky) waterfall up in north. Again, here’s a little overlap, because this gem is actually found on another favorite island of Krabi. 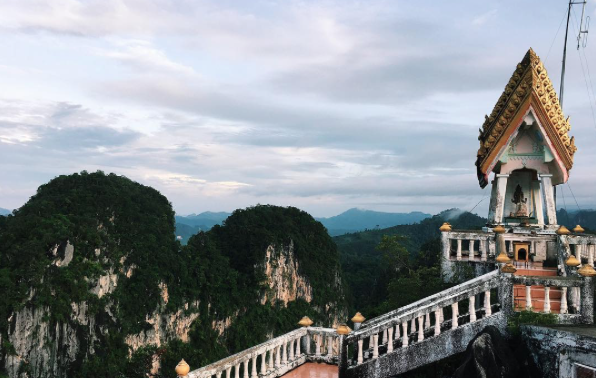 We love Krabi, and we love this incredible lookout. Be warned — you will need to climb lots and lots and lots of stairs but the view is SO worth it. Check out this blog post to get more details about this stunning hike. Ever seen those dreamy lantern festivals, straight out of the Disney movie, Tangled? If you want that to be your actual life, you need to go to the Chiang Mai lantern festival. It’s also a favorite spot for shopping (see if you can pick up the cheapest things to buy in Thailand at the markets here). Oh, and head here for elephants. Yep, actual elephants. 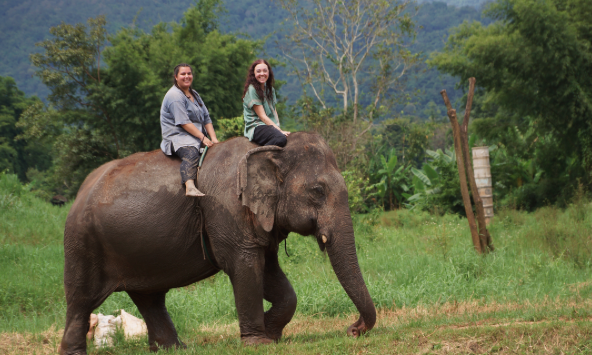 Learn how to pick the best elephant sanctuaries and start planning that trip, am I right? Our complete guide to Chiang Mai will convince you that you need at least 4 days to experience everything there is to do there! Oh, there is so much to see in the capital city, that’s for sure. One thing that’s worth seeing are the Floating Markets here. Imagine sitting in a boat, drifting through a canal crammed full of vendors selling everything from tiny bunches of bananas to printed pants to painted glass bowls to steaming containers of hot, spicy noodles and curries. Um, yes please! While you’re in Bangkok, head over to these ancient ruins to really be blown away. Thailand has a long and ancient history and seeing the modern bustle of Bangkok compared to its ancient past is pretty astounding. Volunteers here suggest bringing lots of water and your camera, especially to get a picture with this Buddha hidden in this massive tree. Pst — there’s a lot to see in this city, so we’ve put together your weekend itinerary for Bangkok to help you out. You really won’t see anything like the temple in this Thai city. There is so much detail you’ll want to spend hours just admiring how much work went into this holy site. Temples (or wats) are something you won’t be able to get enough of while you’re touring this country, but the White Temple really is something special. 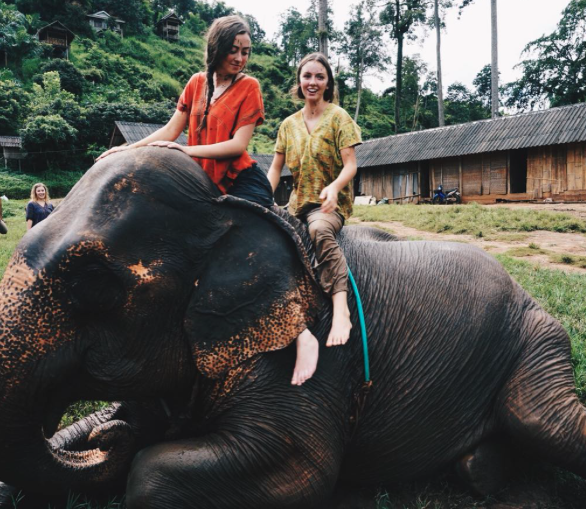 Here’s what else should make your Chiang Rai bucket list. We. Love. Pai. Honestly, it’s another one that’s a little bit of a secret for people who are spending more time in Thailand than just a couple of weeks. Head here for a cool backpacker town-vibe, awesome food, and a bunch of other surprises — it really is the chillest hippy town in all of Thailand. 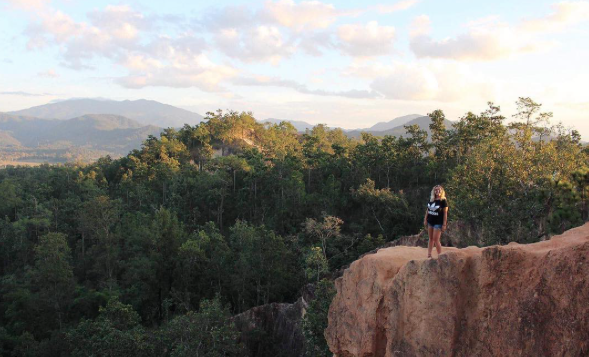 Really, the best time of year to visit Thailand is year round, because you can always go to Pai. It's so great. Ending our list is another batch of incredible ruins that are thousands of years old. But one reason why we love this place is because it’s close enough to do on a weekend for any ILP volunteers! You can come here for the day, ride around the ruins on a bike, stop off for some yummy curry and call it a (perfect) day.